Collins Booksellers - Biology of Butterflyfishes by Pratchett, Morgan S., 9781466582903. Buy this book online. Butterflyfishes (family Chaetodontidae) are a highly conspicuous component of fish fauna on coral reefs throughout the world. In light of their strong dependence on coral, they are often regarded as the epitome of coral reef fishes. 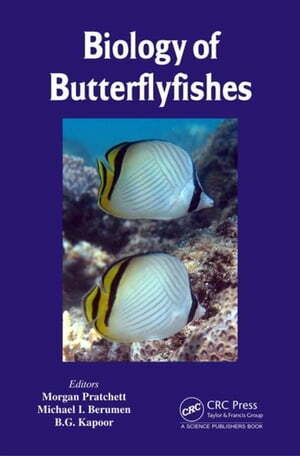 This volume examines the ecology and conservation of coral reef butterflyfishes. It provides important insights on their evolution and key events and adaptations that have led to their proliferation within coral reef ecosystems. Key to the longevity of butterflyfishes is the evolution of coral-feeding-a central focus of the ecological chapters in this volume. The book also highlights key threats and challenges related to the conservation of butterflyfishes and ends with an overview of current and future research directions.